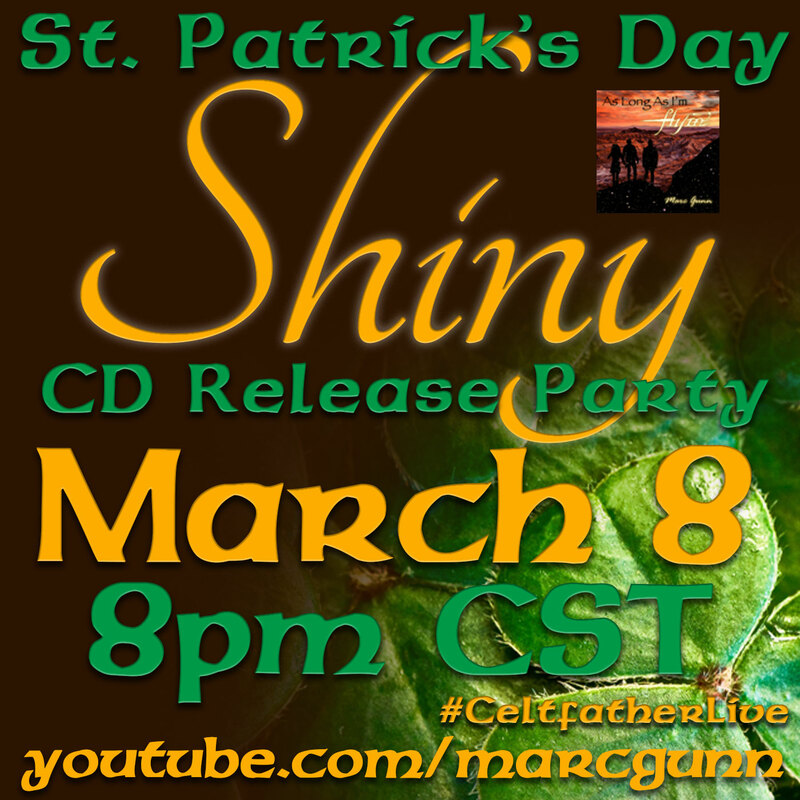 If you missed the latest CeltfatherLive Internet Concert of Shiny St Patrick’s Day CD Release Party, you can watch a free replay through March 17 at Celtfather.com/watch. The show celebrates the release of my new album of Browncoats Drinking songs, called As Long As I’m Flyin. 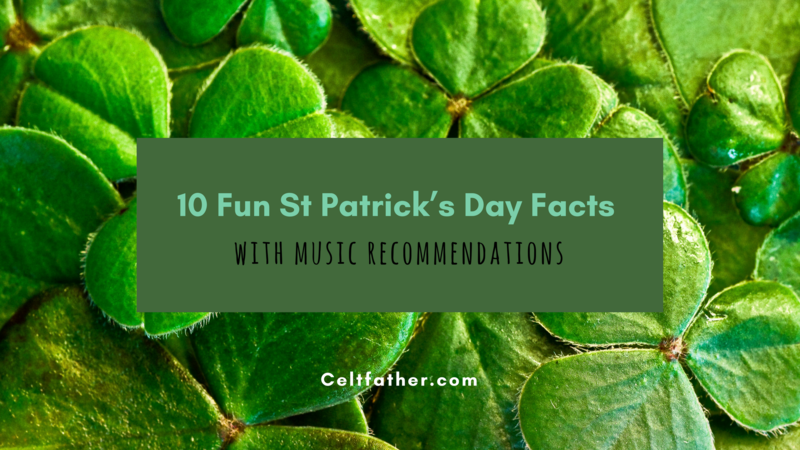 Plus some fun St Patrick’s Day Songs. You can sing along to many of those songs through the Irish song lyrics website. I have two extra-Long episodes of St Patrick’s Day Music on the Irish & Celtic Music Podcast. The first came out last week and features the Best Celtic songs in the podcast in 2017. The second is out this Thursday. It will feature 17 for St Patrick’s Day. As a special bonus you will be able to download all 17 songs as mp3 singles. I’ll include a link to that article in the shownotes. I have published my 17 Free Celtic MP3s for St Patrick’s Day article since 2003. Millions of people around the world celebrate St. Patrick's Day. You could say everyone is Irish on St Patrick's Day. But I prefer to see this as a holiday for everyone of Celtic ancestry. I don’t know how many kilts I’ve seen worn on the holiday, but it’s a lot. I think that’s a good place to start these fun facts. 1. Ireland is one of seven Celtic nations. These are the places that the Celts settled after invading their way from central Europe before finally being conquered by the Romans and driven to the fringes of continent. The nations include: Ireland, Scotland, Wales, the Isle of Man, Cornwall in Southwest England, Brittany in France, and Galicia in Northwest Spain. While the Celts settled in those locations, they were eventually pushed out of those homelands to places around the world. New Orleans was one of the top 3 immigration points for the Irish during the potato blight of the 1800s. So I’m gonna kick off my musical recommendation with “Men of New Basin Canal” that honors the 30K Irishmen who died digging that canal. 2. St Patrick was not Irish. He was born in Scotland or Wales in the 4th century. Originally, he was enslaved and taken to Ireland. He escaped, became a Christian and went back to convert the Celts. He died in Ireland on March 17, 461. I was born on St Patrick's Day. I have a song for all those born on March 17th or of Irish heritage. It's called "Happy Birthday from Ireland." 3. March 17th is the holy day of St. Patrick in the Catholic church. Because of this, it was not celebrated like you find it today. In fact, March 17 was a dry holiday in Ireland until the 70s. All the pubs were closed. In 1995 they began celebrating it like in America. It's quite a ironic that as a sainted holiday, St Patrick's Day is celebrated with drinking. Thus my next song recommendation, "St Patrick Never Drank". 4. The first St Patrick’s day parade was celebrated in New York in 1762. The Irish were trying to hold on to their heritage. Parades sprang up around the world since then, most notably in Chicago where the river is dyed green. Dublin too now has a big St. Patrick’s Day parade. I want to recommend song “McNamara‘s Band” song by Bing Crosby. 5. Green is most-often associated with St Patrick’s Day. But St Patrick’s color was actually blue. And as a wild twist, I was told that the Scots wore orange. It wasn’t until much later I realized that green was the color of Catholics and orange was the color of Protestants. And of course the Republic of Ireland is largely Catholic. From Brobdingnagian Bards, try the song “The Orange and the Green”. 6. St Paddy’s day is the shortened version of St Patrick’s Day. However, that shortened name is often misspelled. It should be spelled Paddy. Not Patty. Patty is a girls name. Paddy is short for the Irish name Padraig. 7. The most famous Irish song is Danny Boy. But it’s not actually Irish. Okay the melody is an Irish tune called “Derry Aire”. But the lyrics were written by an English lawyer and songwriter named Frederic Weatherly. I get the song requested so much that I play two versions of “Danny Boy”, the original and a parody about cats. 8. The leprechaun is a fascinating and mischievous creature from Irish lore. The modern representation was actually started as a means to belittle the Irish immigrants in the early 1900s. It seems Irish Americans embraced and rebirthed the myth. Oh and apparently, there are no female leprechauns in the lore. I wrote a song that celebrates America’s contribution to the leprechaun myth and to Irish music. It’s called “The Leprechaun”. 9. Slainte Mhaith is an Irish toast. It means “here’s to your good health”. In lovely Gaelic fashion, it’s spelled nothing like it sounds in English. So if you’re out drinking, be it Guinness or tea, raise a glass and repeat the Phrase. I wrote a song about it. It’s called "Slainte Mhaith". 10. More than 13 million pints of Guinness are consumed on St Patrick’s Day. I hope you will raise a glass also to Charlie Mopps, the fictious inventor of beer. You can learn him in the song “Beer, Beer, Beer”. One final bonus fact. The music of the Celts is called Celtic music. This is not to be confused the Boston Celtics. Celtic is spoken with a hard-K sound. I host the Irish & Celtic Music Podcast. You will find over 400 hours of free Celtic music to listen to on St Patrick’s Day. Thank you so much for listening. I hope you enjoyed these fun facts. If you want to listen to the songs, you can search for them on Apple Music or you can check out my Geek Pub Songs playlist over on Spotify. You can also support this podcast for as little as $1 per month when you join the Gunn Runners Club on Patreon. You'll get hours of great content for one low fee and help me create new music for you.